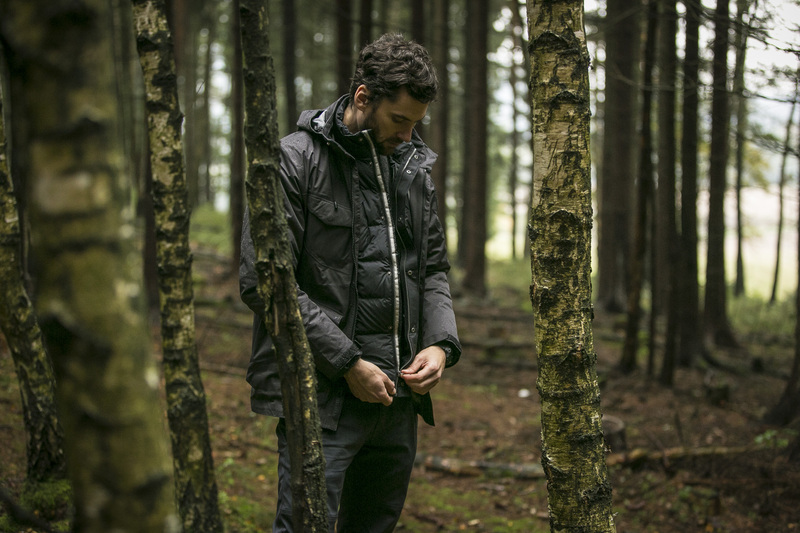 Even non-outdoor enthusiasts should have heard of the Swedish brand Haglöfs by now. Haglöfs stands out with their classic, almost reserved designs, almost as if they value the functionality and constancy of their products over extravagant design. I mean this in a positive sense; it’s exactly this that distinguishes good design from bad, and delivers a particular look and constancy. The brand continues to gain in popularity, so it’s no wonder that Haglöfs not only continues to grow its classic lines, but a year ago brought out a completely new collection. 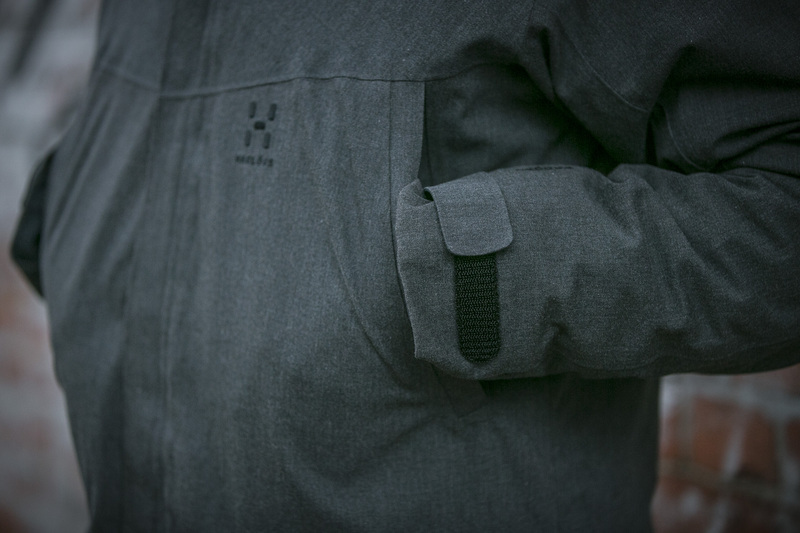 With the still quite new collection 19Fourteen—the name comes from the year Haglöfs was founded—Haglöfs consciously appeals to a new generation of outdoor enthusiasts. Classically cut, and made with functional and eco-friendly materials, the 19Fourteen collection is not only for the outdoors but looks great too as part of your daily wardrobe. 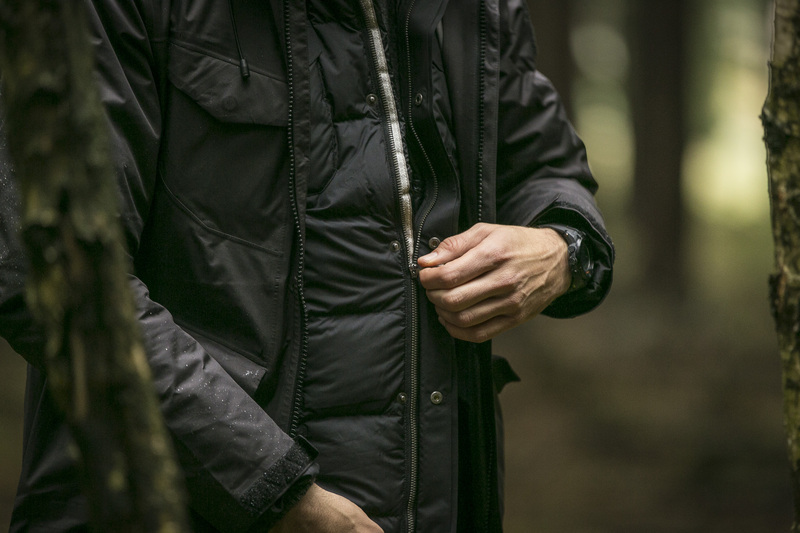 The Hede Down Jacket is the perfect spring/ fall jacket. 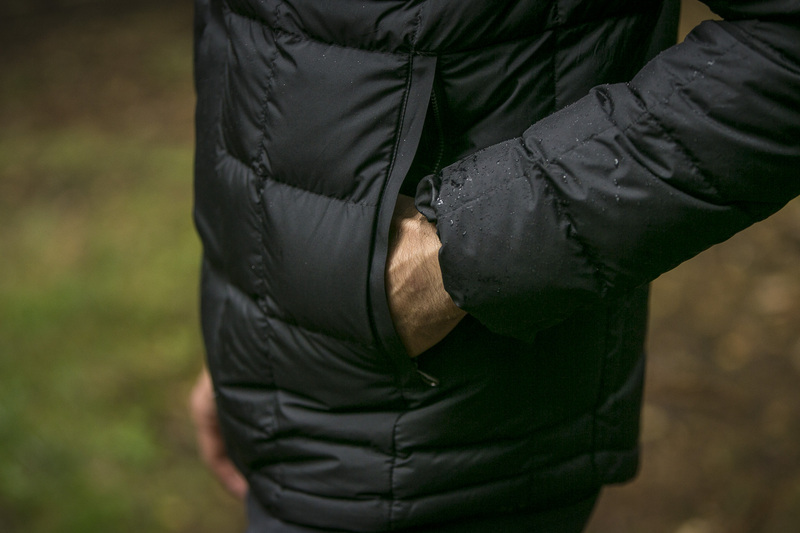 Nice shape, classic cut—the way a light down jacket should look. And should the weather get harsher, the Hede Down can also be worn as a middle layer. Though actually the Hede Down will get you through quite a lot by itself. The matte outer material is made from 100% recycled polyester from Pertex™ and filled with 700 CUIN fillpower down. Also, the Hede Down has bluesign approval, which means you can be sure that the materials used are made according to the highest eco-friendly and resource-saving standards. The chest pockets button closed, and there are also two side pockets. 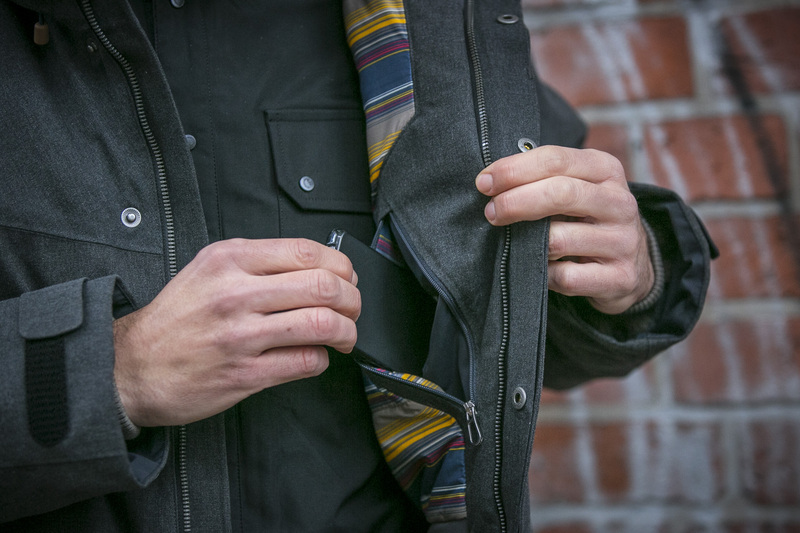 The left pocket even doubles as a stow pocket to compress and store the entire jacket. Conclusion: The Hede Down doesn’t just look good, it also keeps you really warm in low temperatures. 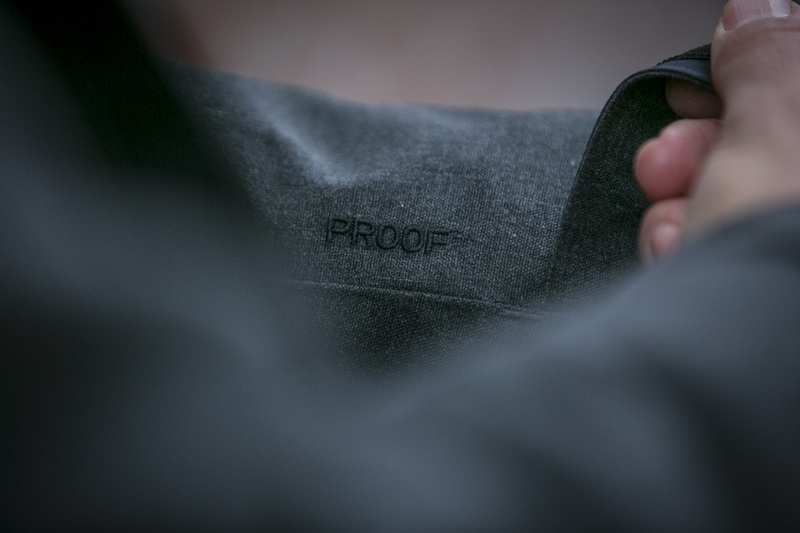 And the bluesign approval means you’re not only buying a good-looking and functional jacket, but a product that is produced in an eco-friendly way. 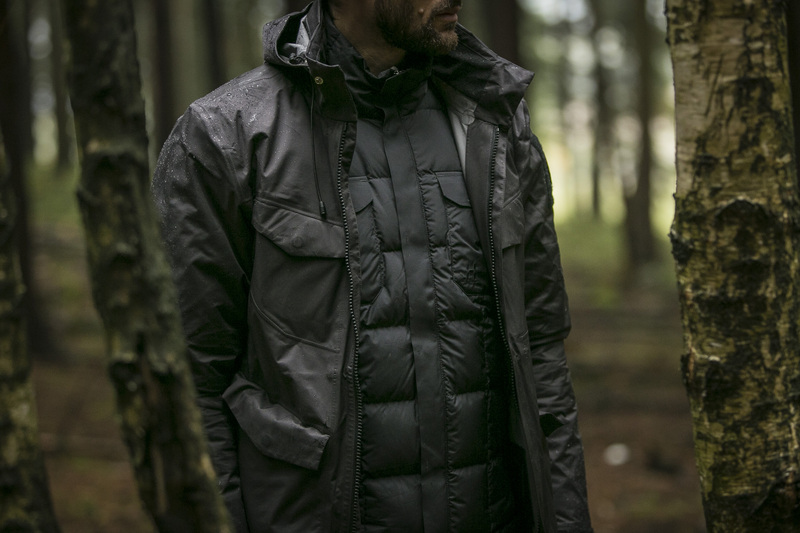 The Siljan Parka is another piece from the 19Fourteen collection that has caught our attention. 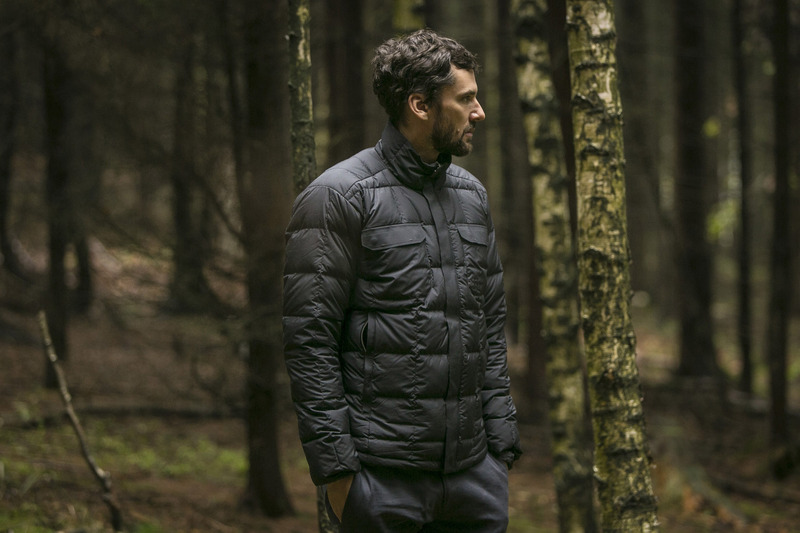 The Siljan, with its thick 160g QuadFusion+ insulation is, first and foremost, made for cold winter days. You notice how warm it is as soon as you put it on. 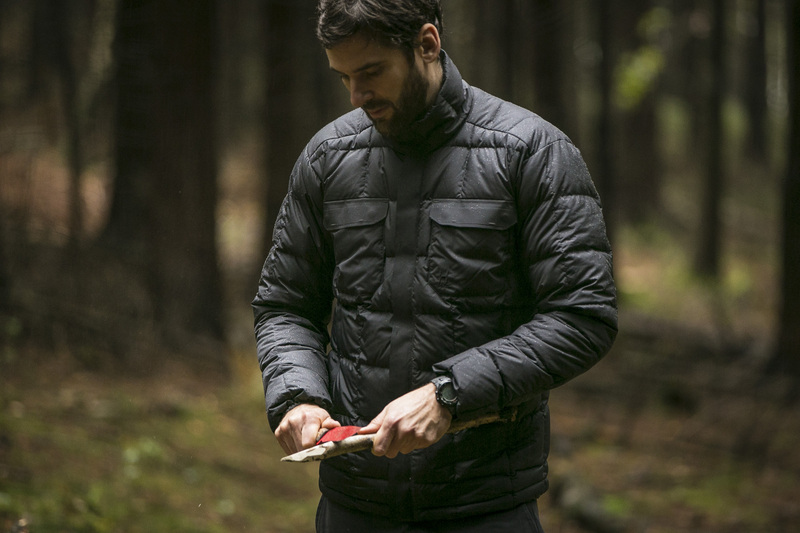 The Siljan has that comfortable weight and robustness that lets you know that this jacket will get you warm through the winter. 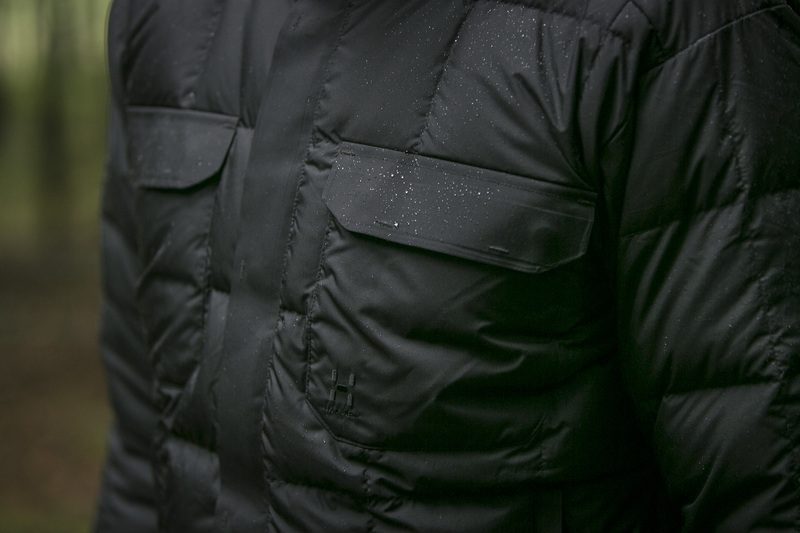 Additional warmth comes from extra pile lining around the hips and a soft rib collar that protects the neck area. The Siljan also has a wind- and waterproof membrane made from PROOF™ that provides extra protection from the harsh elements. 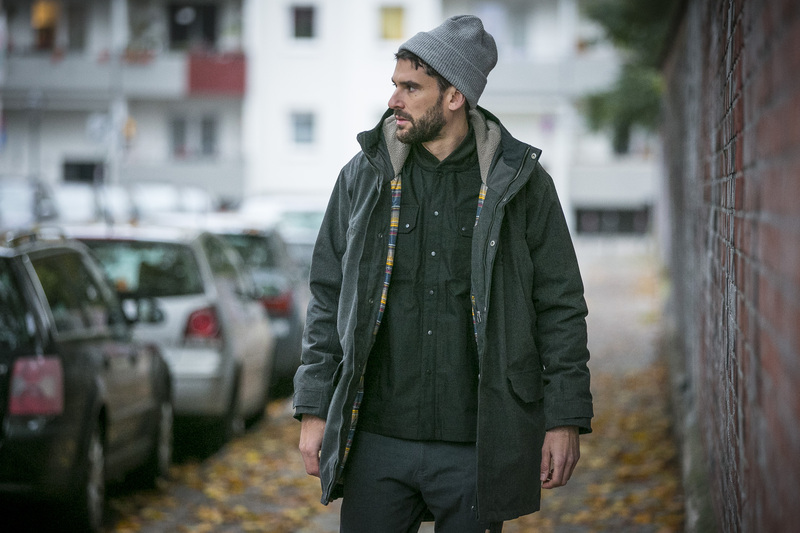 PROOF™ is made of 80% recycled polyester and 20% organic cotton, and together with the bluesign approved QuadFusion+ insulation, the Siljan Parka satisfies the high eco-friendly standards of the 19Fourteen collection. I especially like the two high side pockets at chest level and the two large front pockets. 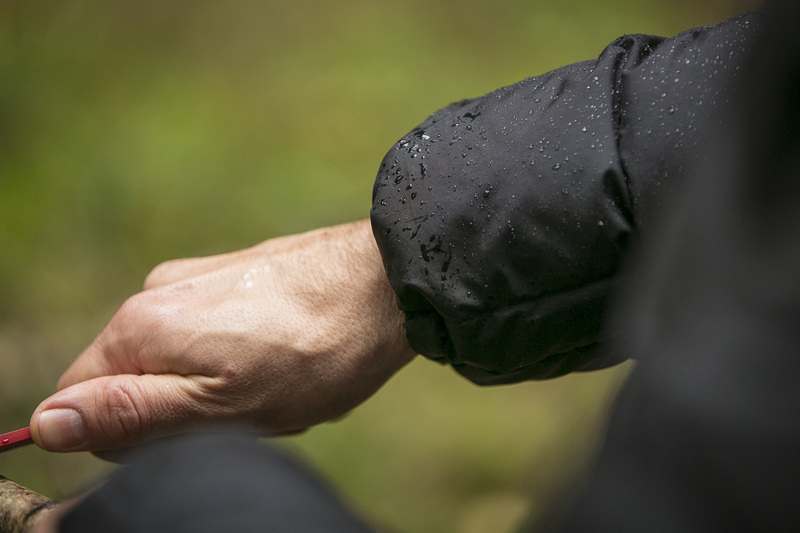 No parka should be without them. 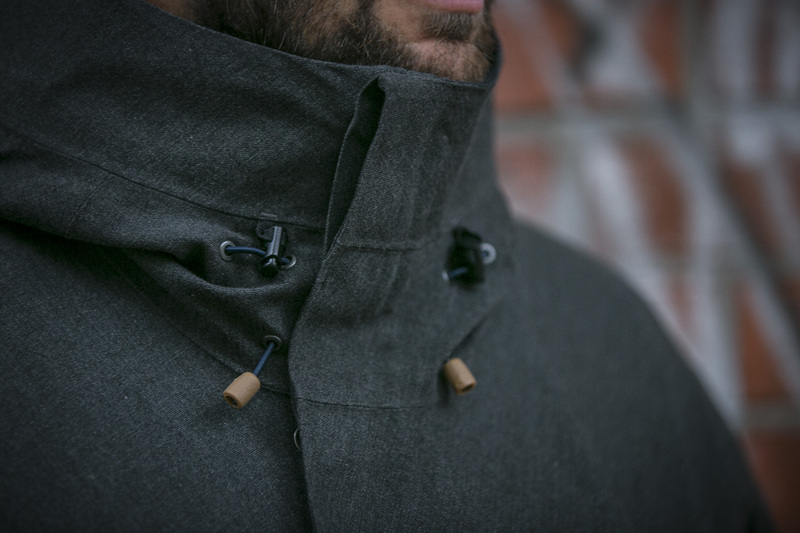 Conclusion: With the Siljan, you get not only a parka that will withstand winter conditions, but also something of the highest quality. 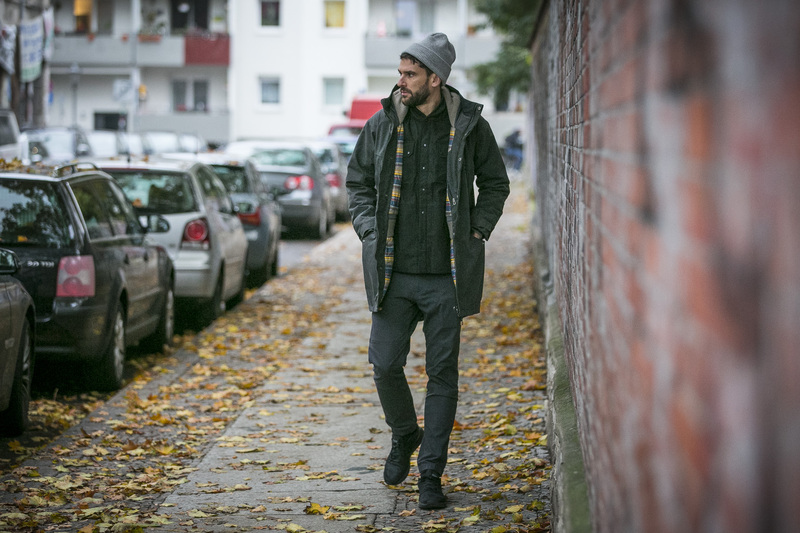 As is typical of the 19Fourteen collection, the Siljan looks great and has a classic look. This is a product that is not only functional but also one that fulfils all the criteria of eco-friendly design.